Alright, so it's not the kookiest brew ever made in London — that honour goes to the one-off batch of beer, made using yeast from Roald Dahl's writing chair. Still — beer made from old bread? That's pretty kooky. 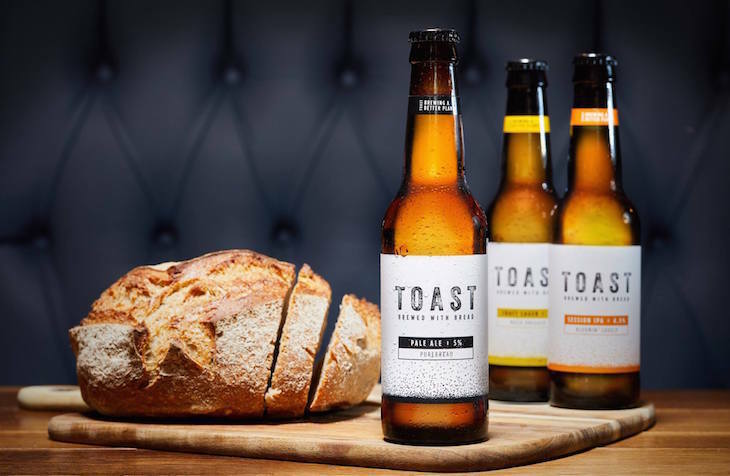 Toast Ale uses surplus bread — including unsold loaves from London's bakeries — at its Southwark brewery. Hops, yeast and water are added in some sort of booze-addled witchcraft (alright, if you insist on science: the bread's carbohydrates are broken down to sugar by amylase in the barley, and the yeast converts the sugars to alcohol), and hey presto! Pale ales, lagers and IPAs galore. At present, you're more likely to find Toast in supermarkets (Tesco, Co-op and Waitrose) than in pubs and bars, but it's also available to order through the Toast Ale website. It's for a good cause, too. All profits go to charity to end food waste. So the more you drink, the more good you're doing. 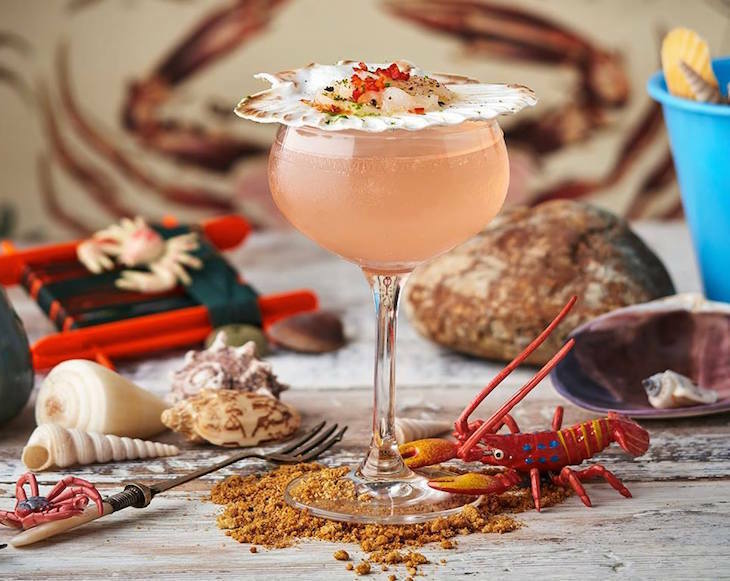 The Crustacean Sensation, a new addition to Shrub & Shutter's menu, launching soon. Once upon a time, London's idea of a cocktail was a G&T with an umbrella plonked in it. Now, cocktails glow, flame and smoke. Callooh Callay mixes guacamole with tequila to create Guac To The Future, and any branch of Be At One will plonk a full-size Kinder Bueno on top of your creamy drink. You can even imagine yourself as a Walter White-mixologist hybrid, at Breaking Bad themed molecular cocktail bar ABQ London. So, yeah, that Cosmopolitan served in a teapot doesn't even make the top 10 of London's oddest cocktails. Sorry. Brixton's Shrub & Shutter dedicates a section of its cocktail menu to 'snacks' (take the Lemon Creme Brûlée: gin, limoncello, creme fraiche, lemon, vanilla, sugar and lemon meringue) — but many of the most dramatic cocktails are off-menu, so follow the bar on social media for tips on what to order. Oh, and fair warning: they like setting their drinks on fire. The impressive work of the team behind Shrub & Shutter isn't restricted to Brixton though. Back in 2012, while working for Drake & Morgan, Dave and Chris of cocktail company Salts of the Earth came up with the Goldfish In A Bag, which was served at The Fable. No fish were harmed in the making of the drink, which consists of gin, rhubarb bitters, tonic, pink grapefruit 'fish' and edible lily pads — served in a fairground-style clear bag. After much deliberation, we're *hic* naming it as possibly London's oddest cocktail. 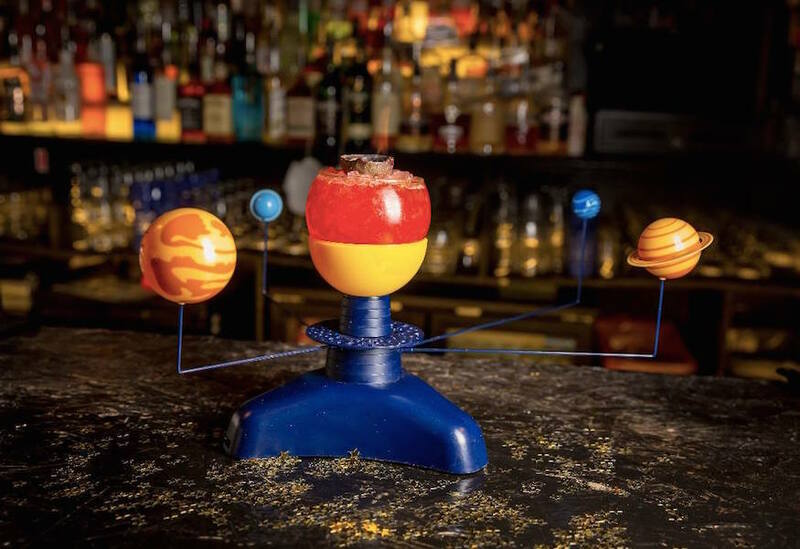 London Cocktail Club offers a similar drink at its Supermarket Sweep pop-up in Shoreditch, and is home to other unusual concoctions, including the out-of-this-world Captain's Log, which is served in its own solar system. 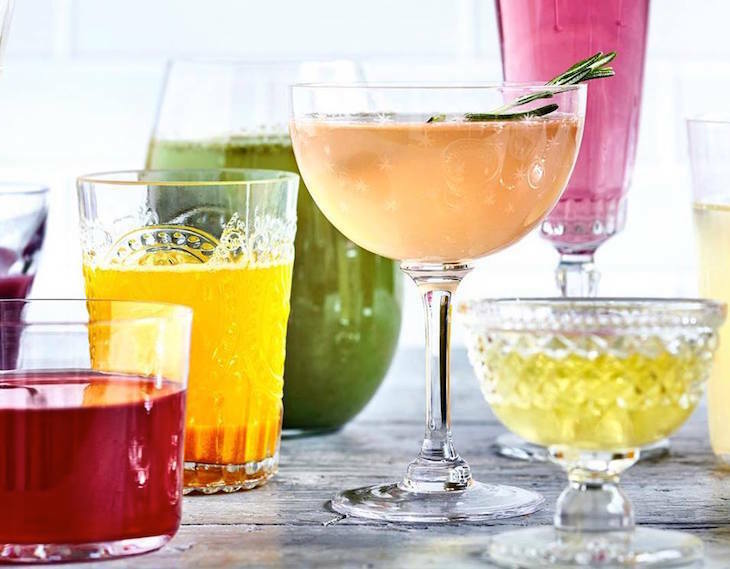 We've learnt the hard way to say 'no' to jelly cocktails. First there were the 'crystallised cocktails' at the W London's Tea Total afternoon tea, which saw us chewing our way through the classics. Purple Rain and Pull The Pin are delightful enough, but Banana Republic teeters into mushy territory. Then the Artesian Moments menu at The Langham Hotel caught us out all over again. 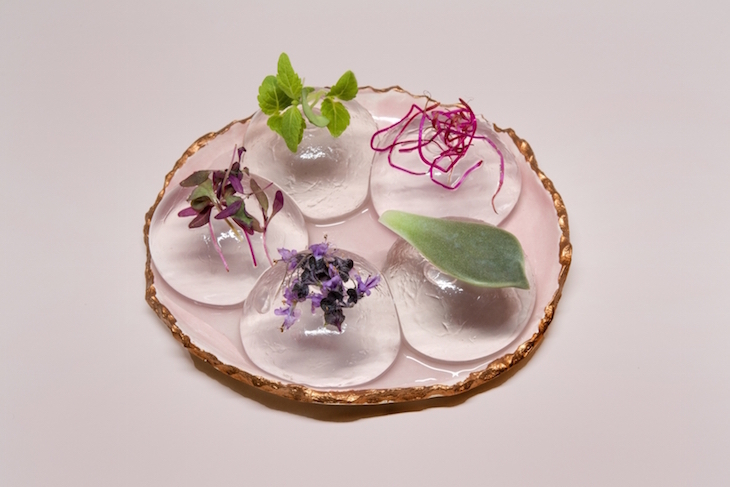 The menu's introductory cocktail, It All Began, is an egregious-looking platter of jellied-alien eggs, which leave residual embryo and bitter herbs on the tongue long after the liquid has slid down. I guess we're saying it's an acquired taste. 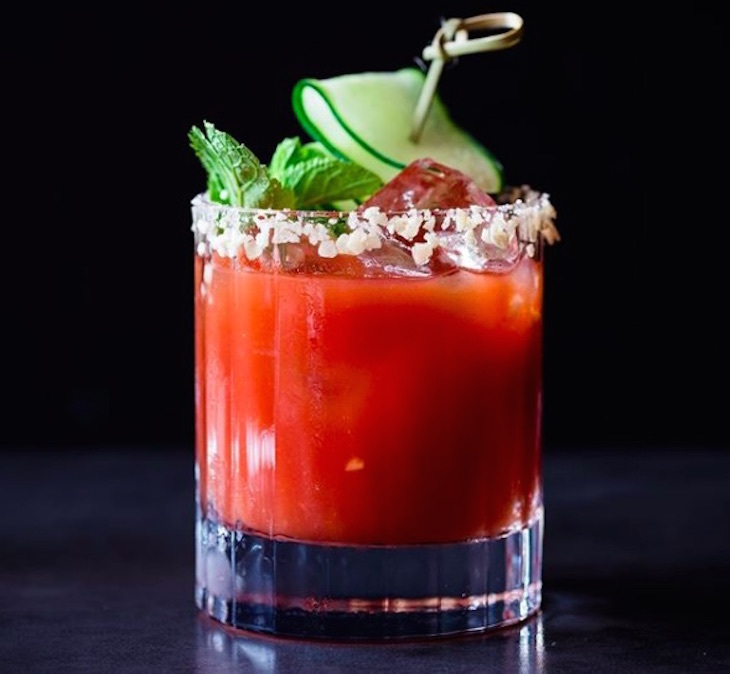 You'd think a Bloody Mary would be simple enough: tomato juice, vodka. Worcester sauce, a dash of lemon... Tabasco if you're feeling brave — but no. If you're hanging (let's face it, if you're drinking bloody marys, you're hanging), the Dirty Mary at Dirty Bones will sort you right out. The vodka provides the hair of the dog your bloodstream is craving, while the Sour Cream & Onion Pringles rim gives you a salty carb hit. Able to stomach something a little odder? 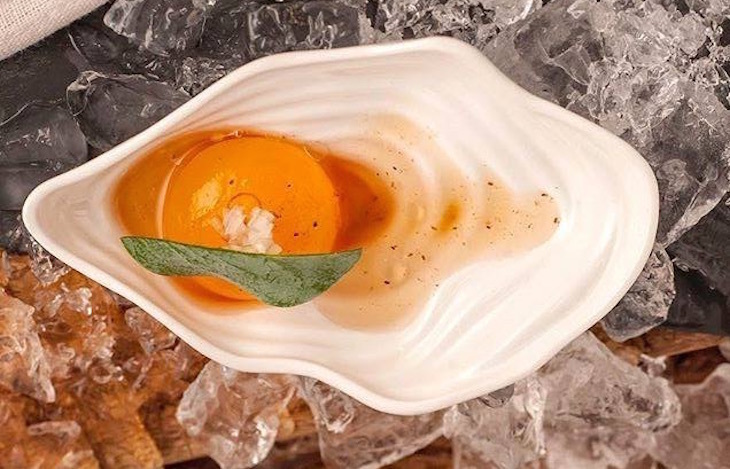 69 Colebrooke Row's Prairie Oyster concoction looks like a mollusc, but is actually a deconstructed bloody mary — a tomato yolk explodes on the tongue, washed down with horseradish vodka, oloroso sherry, celery juice, Worcestershire sauce, homemade pepper sauce and white wine vinegar, all downed in one. Worth shelling out on. 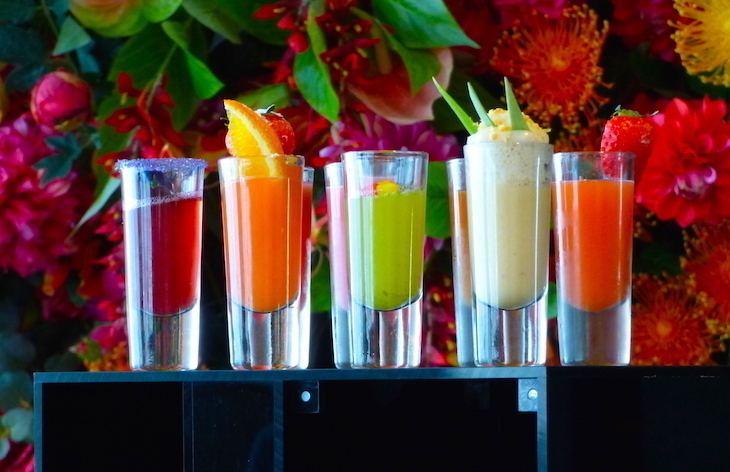 See more of London's oddest Bloody Marys. Towers of cream, mountains of doughnuts, slabs of brownie — and that's before you get to the milkshake. Freakshakes are a sight to behold, a meal within a drink, a sugar buzz that'll have you bouncing off the walls for days. Now-defunct Haggerston cafe Molly Bakes is widely credited with bringing the Australian invention to Londoners, thanks to the two-hour-long, round the block queues it created when it added the drinks to its menu in 2016. But Maxwells in Covent Garden is actually responsible — it first started serving freakshakes in 2015, and now refers to itself as "the home of the freakshake". Our advice? Avoid the famous 'Unicorn' freakshake. It looks good on the 'Gram, but the chemical flavour leaves a bitter after taste — go for the Salted Caramel Donut option instead. In late 2018, freakshakes were the target of a campaign by charity Action On Sugar, who want them banned due to 'grotesque levels of sugar and calories'. We say there's no harm in indulging once in a while, and there are plenty of places to do so. 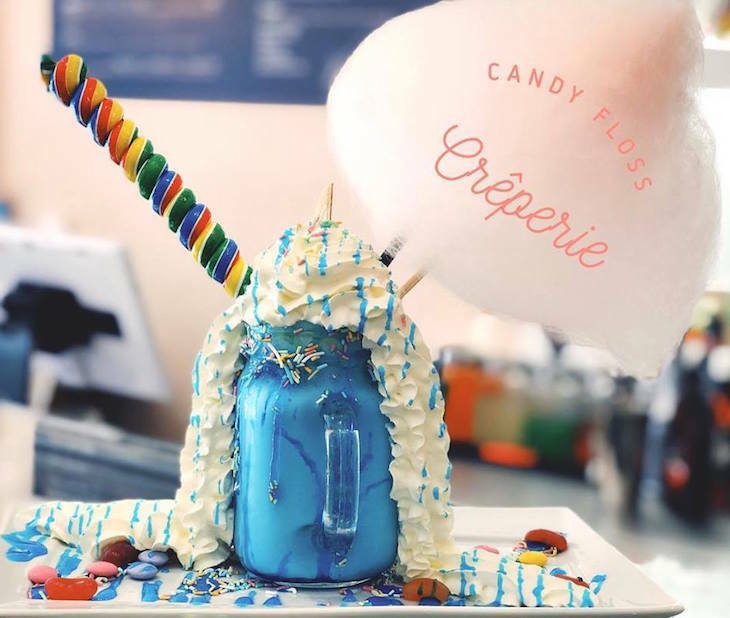 Forest Gate's Candy Floss Creperie offers four different flavours, highlight being the Blue Unicorn — a bright blue beast, which promises e-numbers by the bucketload, topped off with a full-sized candyfloss cloud and a giant lolly. 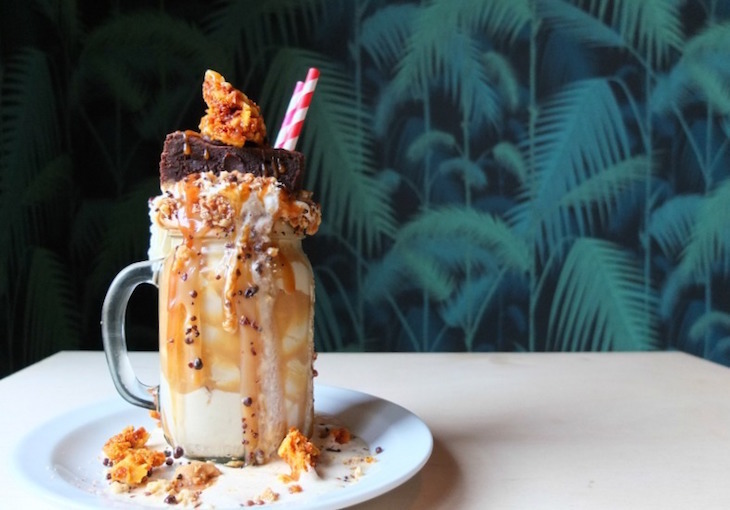 Bethnal Green's Canvas Cafe, meanwhile, is credited with whipping up London's first vegan freakshakes. Burger chains BRGR CO, Byron, and TGI Fridays are in on the action too, the latter's Birthday Cake Shake is topped with a whole slice of birthday cake. We're not ashamed to admit we've had one... it wasn't even our birthday. Kombucha — not to be confused with London Zoo's Ribena-swilling silverback gorilla Kumbuka — is a fermented black or green tea drink, available in various fruity flavours, and usually drank cold. It's very slightly alcoholic, and has been filtering its way into the London mainstream drinking scene in recent years. It's regularly used in cocktails and mocktails in the capital's bars, which is odd really, as it's basically cold tea. As well as being consumed in London, it's also being made here. Tottenham-based Wild Fizz Kombucha is brewing it on a houseboat. 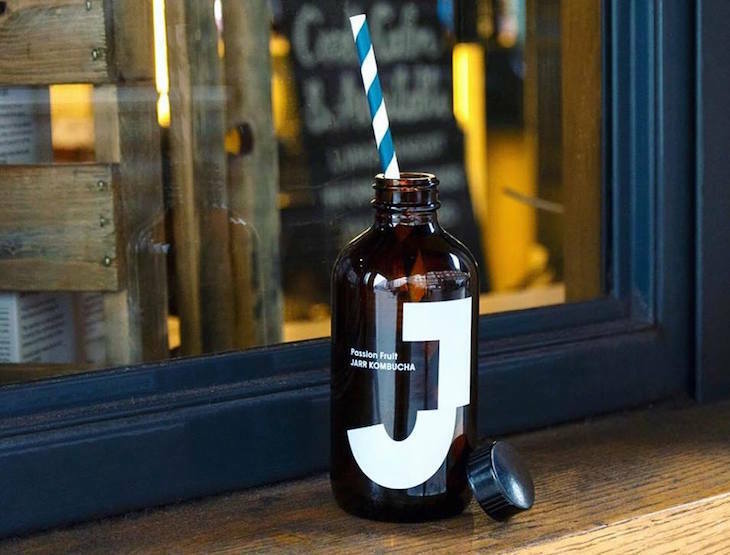 Hackney Wick's Jarr Kombucha is Europe's first kombucha taproom. If it's just the drinking you're interested in, Caravan is one of the best places for quaffing kombucha in the capital. We are strongly — STRONGLY — of the opinion that cereal is to be eaten, and not drunk (tipping up the bowl to swallow the dregs doesn't count). So you can imagine our feelings about Cereal Killer Cafe's cereal-laced beverages. Start your day with a coffee made with milk flavoured by either Coco Pops or Frosties — the soggy cereal itself isn't present, thank goodness, but it'll taste like it is. 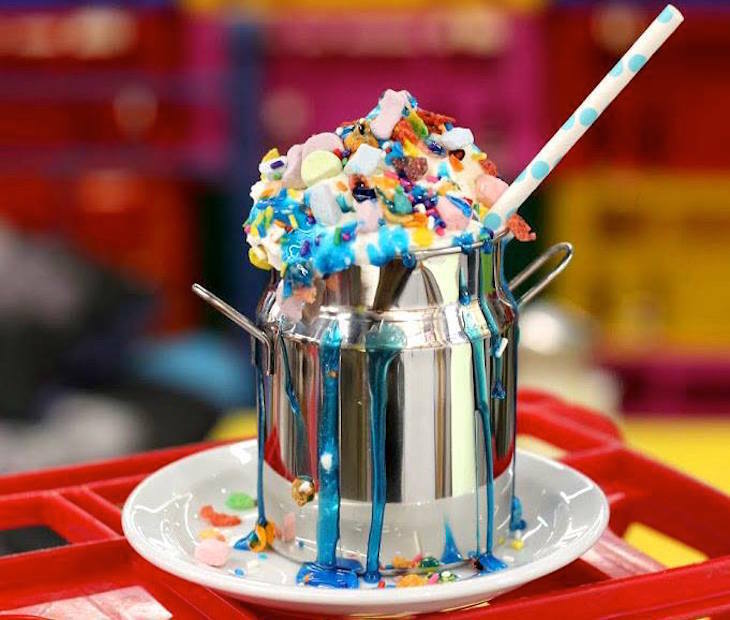 Move onto the 'stacked hot chocolate' and 'cereal chillers' (milkshake) section of the menu for drinks topped with cream, sauce and cereal, including Lucky Charms and Froot Loops. 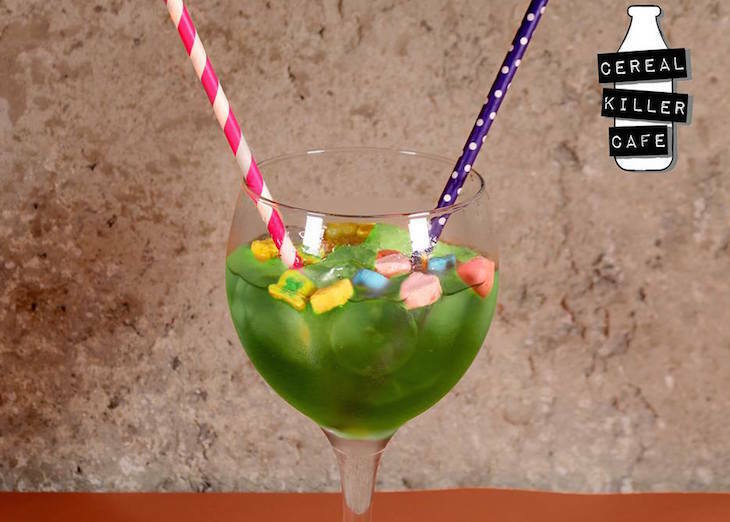 If you're visiting after 11am, indulge in cereal-based cocktails, including the Drunk Leprechaun (vodka, cream soda, marshmallow syrup and Lucky Charms) or the Apple Jack (Jack Daniels, Apple Fanta, ground cinnamon and, unsurprisingly, Apple Jacks). Elan Cafe is also in on the cereal coffee game, with a Lucky Charms latte offered at all its branches. 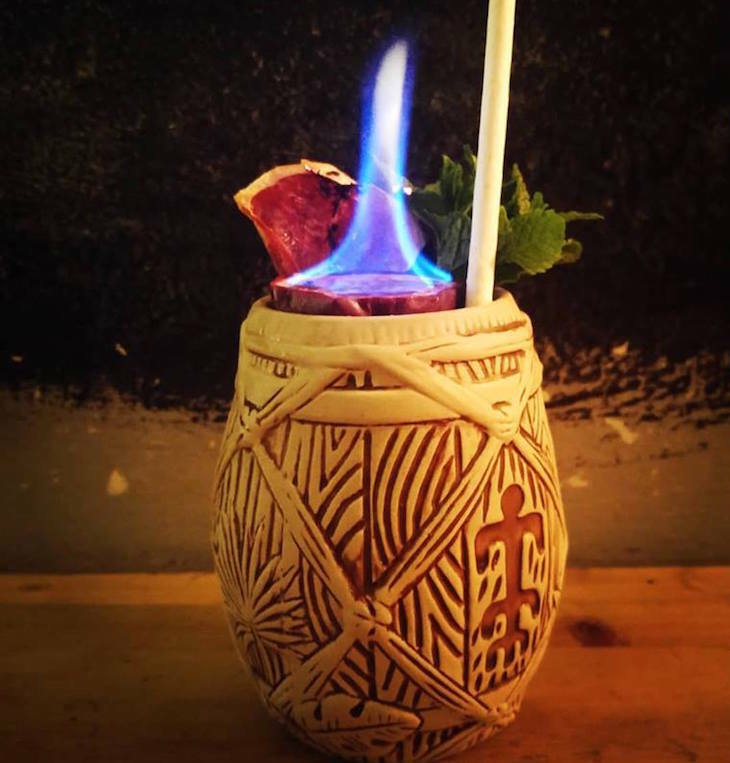 Know of any other odd or unusual drinks in London? Let us know in the comments.